Update: And just like that the Super Mario Run update is here. You can download the latest version on iOS and Android right now to get a hold of the sweet new features. Read on for all that's new in the hyper-drive Mario mobile game, and note you can save half off the price between now and October 12. If you're still playing Super Mario Run on iOS or Android, or you've got an inkling that you'd quite like to get back into the groove of playing it, you'll want to know that Nintendo is planning a significant update for the mobile game. We haven't seen much in the way of upgrades since the game first appeared at the end of 2016, but the new features might be enough to tempt some gamers back to the title or even get a few Mario fans playing it for the first time. As announced on Twitter, the update brings with it the ability to play as Daisy (taking the number of fully playable characters up to seven), and a new mode called Remix 10, which mixes up short snippets of existing levels in different ways, and throws in some extra rewards and collectable items, to give you a fresh challenge. That's not all: there's also a new world called World Star, with nine new levels, new enemies, and new gameplay mechanics. World Star gets unlocked after you've completed worlds one to six. Finally, you're going to be able to listen to your own music while you play (and if you do, the characters will be shown wearing headphones). To sweeten the deal, the price of the game has been halved between now and October 12, so snap it up quickly (if you haven't already) to get the best possible price. 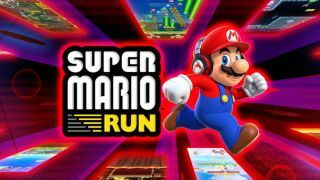 It's been a while since Super Mario Run got some love from Nintendo (which has had other launches on its mind) but better late than never - it's good to see the gaming giant staying committed to its mobile titles months after they first hit.